Not mine, got it from Eomaat. I edited the original scan a bit. Nice and lovely picture !!! I love it !!!! So cute and adoreable !! Like the colour , so soft !!! Thank for sharing !!! Heheheh, Kobato is teh cuteness! I'm really looking forward to this series (I've read a couple chapters and its great!). 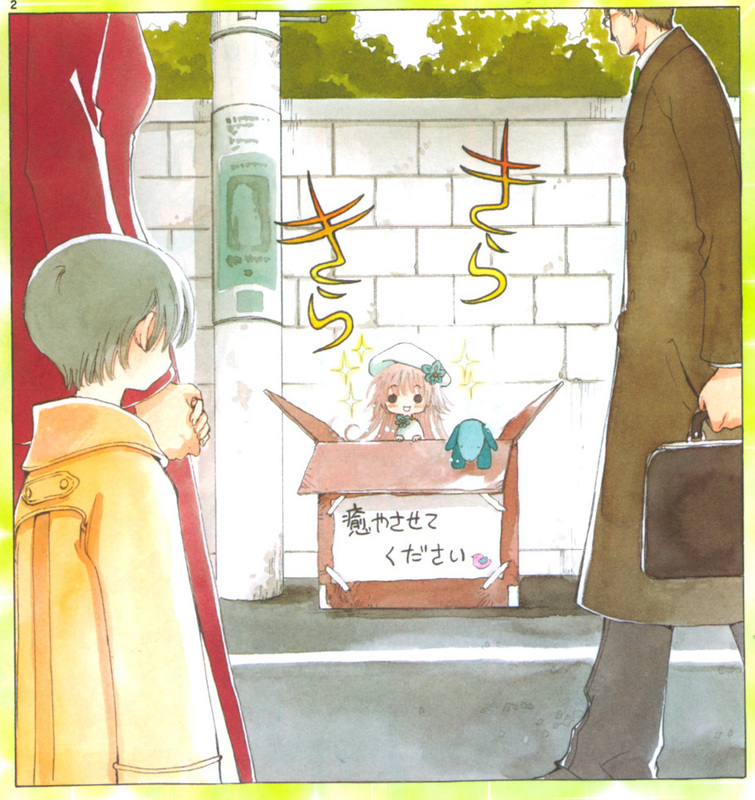 Btw, the front of the box says something like "Please let me heal you"
cute~ she's so adorable in that box~! why is she sitting in a box with that glowing face? Kobato is a very lovely person! Quote by 123minitokyowhy is she sitting in a box with that glowing face? She is in a box because she wants fix hearts of people! Oh my god! Kobato is so cuteeee^^. I love her a lot. Thanks. I love Kobato's expression in this one X3! This one is really really cutE! Kobato is so adorable when it comes to common sense! I wish fujimoto could be in the scene as well! XD Awesome scaN! LOL. I remember this part from the manga. It was soooo cuute and funny. Cute chibi Kobato. Thanks for sharing.